"Meta-mental power from beyond the stars - activate!" 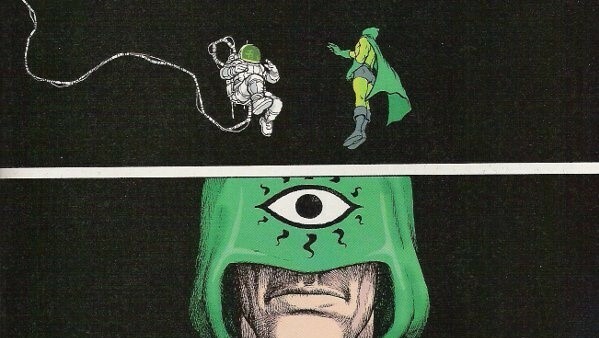 Superhuman Vitality: Super-Seer possesses a profoundly strong body. Even without employing his mental powers to strengthen himself, he possesses a remarkable build and boasts exceptional resistance to injury, disease, and fatigue. He does not require nearly as much sleep as an ordinary human being. Mental Abilities: Super-Seer's mental prowess is vast enough to enable him to focus his very thoughts into powerful ways of affecting his surroundings. Through concentration, he can perform feats of astonishing strength and speed, levitate in place, and even move and transform matter with his very mind. 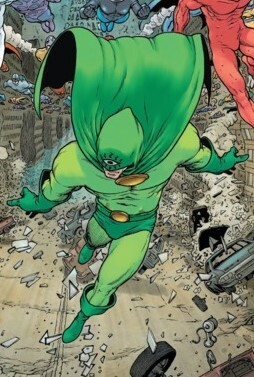 Super-Seer can read minds, detect threats before they manifest, and project his own consciousness across vast distances as a "phantom" of sorts which can interact with the physical world.